We sell factory direct quality bedding. Every mattress is created with care to ensure years of quality sleep. 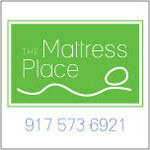 Wide selection of mattresses from basic to luxury. Great service. Large selection. Satisfaction guaranteed. SPECIAL PACKAGE DEAL PRICES FOR CHOSSON KALLAH: 48'' sets of bedding and highriser to start your new home. We deliver. Get more for your wedding! Don't forget to mention ChossonKallah.com when visiting The Mattress Place. Chosson / Kallah Special: 10% off all 48'' sets of bed and highriser to start your new home.